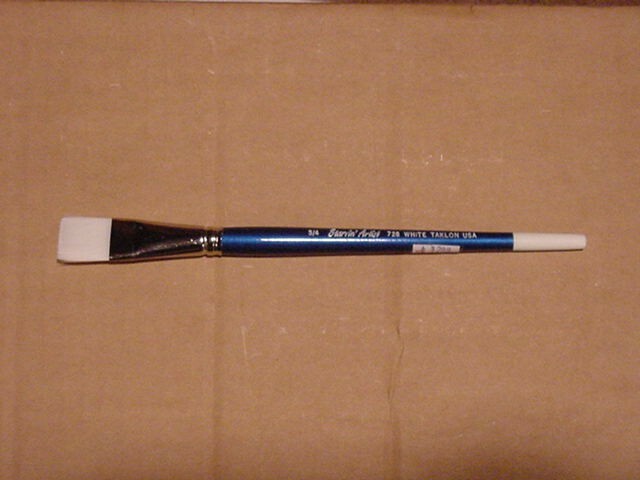 F and M Brush Co. series 700 White Taklon (synthetic) art brushes that performs wonderfully with watercolor or acrylic paints. Pure white hairs that snap back into place. Balanced with a short handle. These art brushes are on standard wholesale art supplies lists.